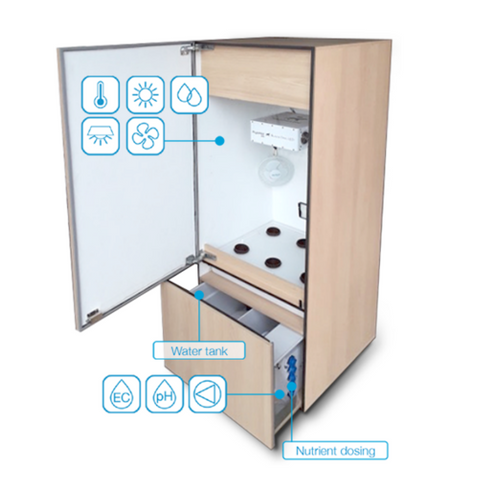 The fully-automated, self-contained, indoor home growing system for plants. Unit ships out 6-8 weeks from date of purchase. By completing a purchase you agree to our Terms & Conditions. Please view our Disclaimers page for full details. 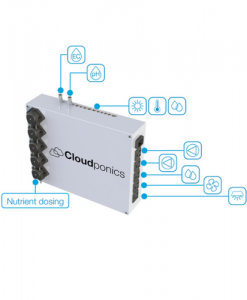 The Cloudponics GroBox is fully customizable, but you can also use the preset grow recipes. Select what you want to grow and the system will nurture it from seed to harvest. 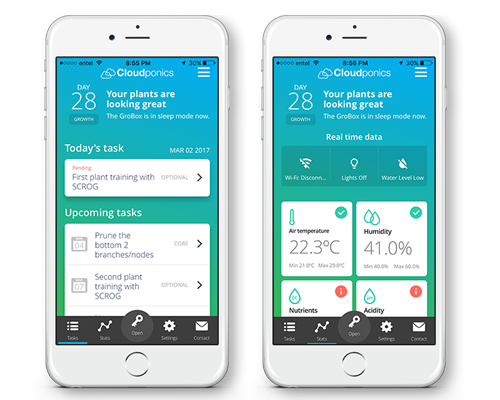 Follow your grow process on the Cloudponics App. 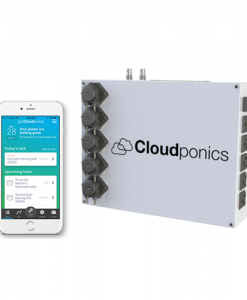 Cloudponics is a solution that pays for itself from your first grow! 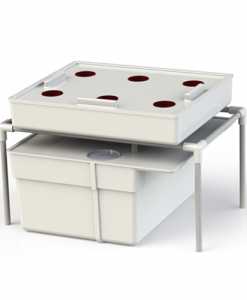 Growing your own food and medicinal plants with GroBox will provide you with repeatable yields and the ability to grow year-round, so you can significantly reduce many costs including how much you spend on groceries and the cost/time spent travelling back and forth to the store. If you grow your medicinal plants with GroBox you could even eliminate your trips to the dispensary and save on the cost of your medicine altogether! *3-weeks based on water reservoir capacity and plant water-retention. 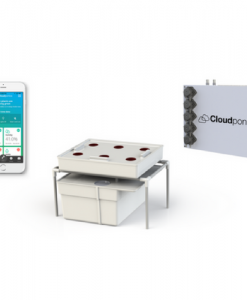 Monitor and Control your system from anywhere in the world with the Cloudponics App. Make changes and rest assured that your GroBox at home will perform the necessary changes. GroBox self-contains the entire grow process — You can even dry your plants inside the GroBox at the end of the growth cycle. 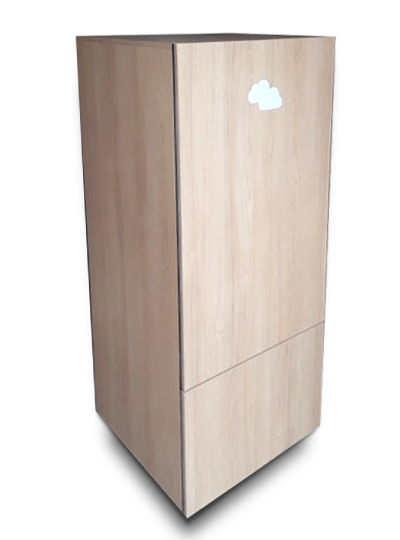 To keep your home free of any odours, the GroBox uses an active-carbon filter by Can Filters. Monitor and Control the growth of your plant from anywhere in the world! GroBox is the solution that fits your Self-grow needs — A fully-automated grow box for growing plants at home that you can control from the convenience of your phone. Looking to automate your current indoor grow setup instead? 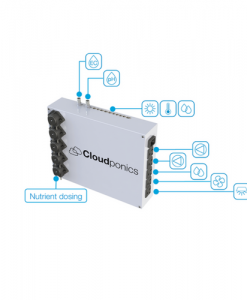 Check out the Cloudponics GroControl! 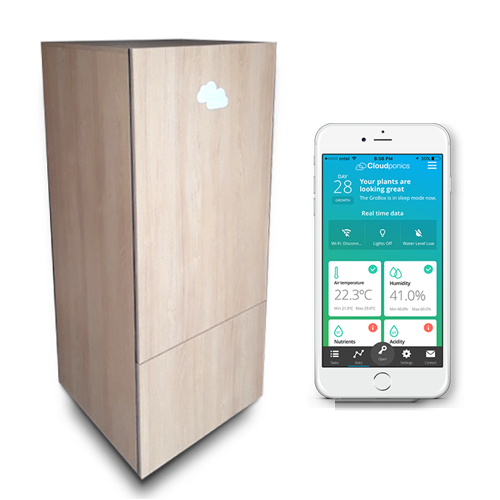 It allows you to fully automate an existing grow room or grow tent. Financing options are now available! Learn more about the Cloudponics Canada Financing Program on our Financing Page. 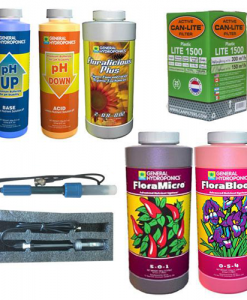 Purchase additional Nutrient Refresh Packs which conveniently include 6 months of nutrients, pH buffers, calibration solutions (pH + EC), odour filter, pH & EC probes – Everything you need to keep growing seamlessly! Please note that we are constantly innovating and improving the designs and features of our products. As such, your unit may slightly differ aesthetically from the product images shown here.